Here are some of my ideas from my TV segment at Let’s Talk Live in Washington DC showing how to make inexpensive and unique Easter crafts and decorations. I will show how to reused household items and dollar store finds to create your festive decorations. If you watch the video, let me know what you think. If you would like to see more of my unique and inexpensive project ideas, Subscribe to my YouTube Channel – I will be uploaded new videos every week! 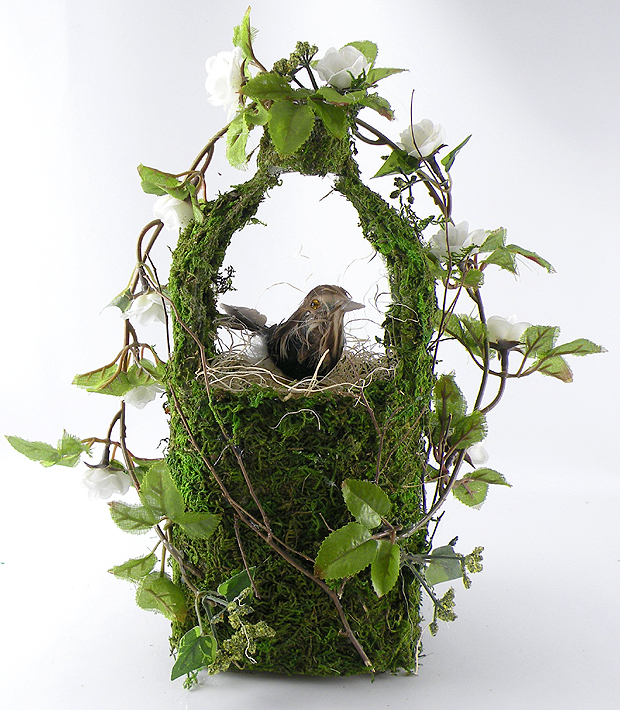 Here just a few of the Easter Designs I show how to create. This basked is created from a reused juice bottle and moss. 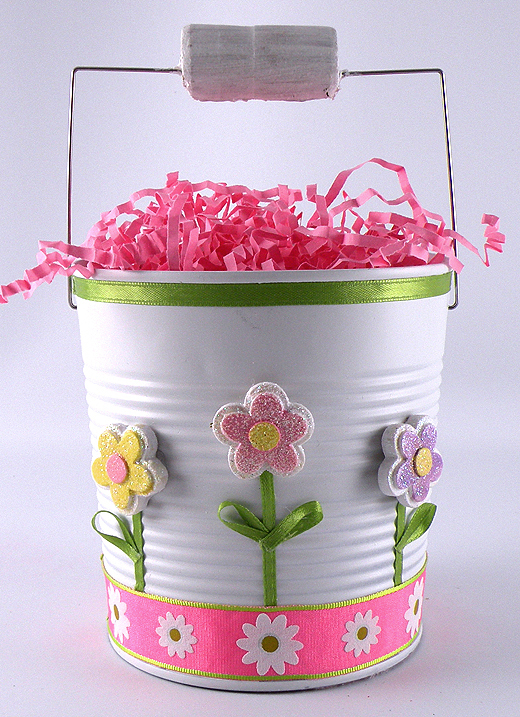 Learn how to make my Easter pail from all reused items. 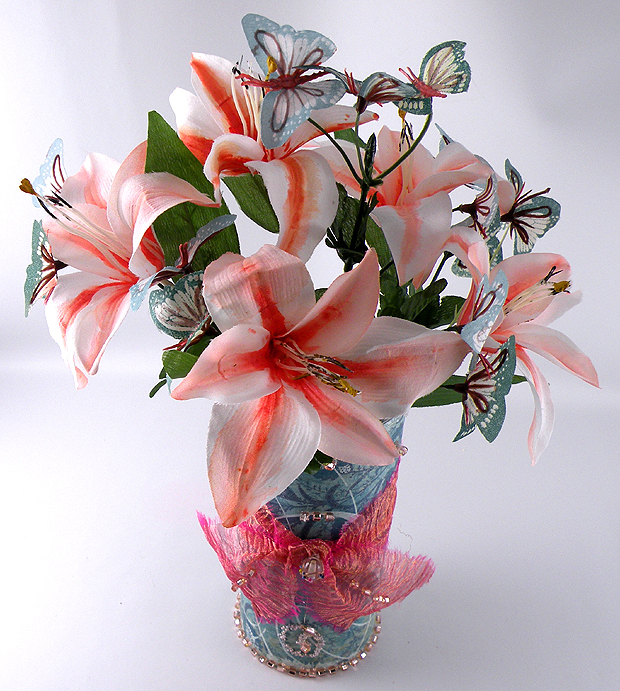 Learn how to make my painted flower Easter centerpiece from dollar store items. This entry was posted in Easter and tagged decorated easter eggs, dollar store, easter baskets, Easter centerpieces, Easter Crafts, Easter Decorations, easter gifts, Easter Pail, easter table, festive decorations, inexpensive easter crafts, YouTube Channel. Bookmark the permalink.